Posted March 9, 2014 by Josette Farrell in News. 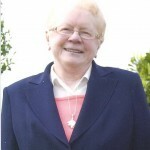 Predeceased by her husband Martin, sadly missed by her daughters Nellie and Maura, sons Francis, Mick, John and Paddy, sister Mary, grandchildren, great- grandchildren, in-laws, nieces, nephews, relatives, neighbours and friends. Reposing at Lackagh Mortuary Chapel this Sunday evening (March 9th) from 5.30pm with Removal at 7.30pm to the Church of Our Lady of Knock, Lackagh. Funeral Mass on Monday at 11am with Burial in Lackagh Cemetery. Family flowers only, Donations, if desired, to Ability West. 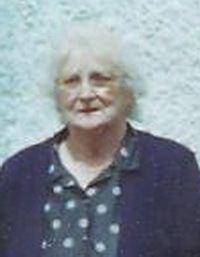 The death took place last week of Margaret Long of Kiltrogue. Formerly Margaret Baker of Cloonacauneen, Margaret passed away peacefully in her 97th year. A lady who worked hard with her husband Martin in raising their six children in difficult times. Maggie was a lady who took life in her stride. In more recent years, when most people of her age would be content to stay in, Maggie was very outgoing and whenever any of her family were going out even for a social drink, Maggie would be first in the car to get out and meet people and enjoy life. She loved the music scene in the pubs and treasured her time out. Maggie’s philosophy was, why would she be at home looking at the four walls when she could be out meeting people? She was a much-loved mother, grandmother and great-grandmother. Margaret’s remains were removed from Lackagh Mortuary Chapel to the Church of our Lady of Knock,Lackagh. Fpllowing Requiem Mass celebrated by Fr Des Walsh (PP Lackagh), burial took place in Lackagh Cemetery. Maggie is survived by her daughters Nellie and Maura, sons Francis, Mick, John and Paddy, sister Mary, grandchildren, great-grandchildren, in-laws, nieces, nephews, relatives, neighbours and friends.